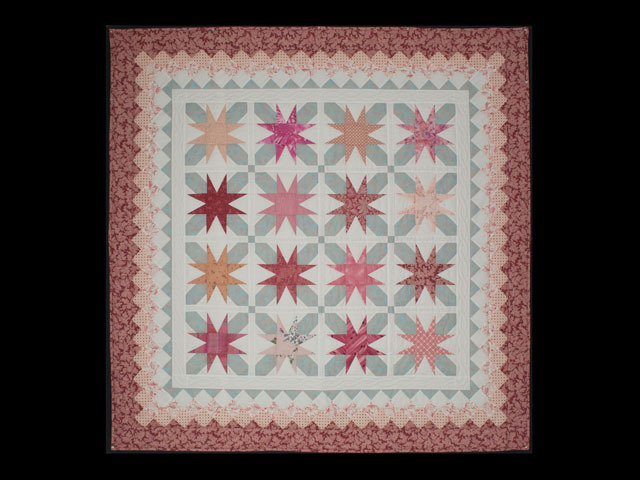 Soft and gentle is how I would describe this wall quilt or throw called Sweet Obsession. 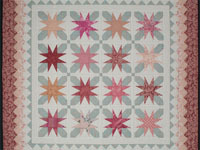 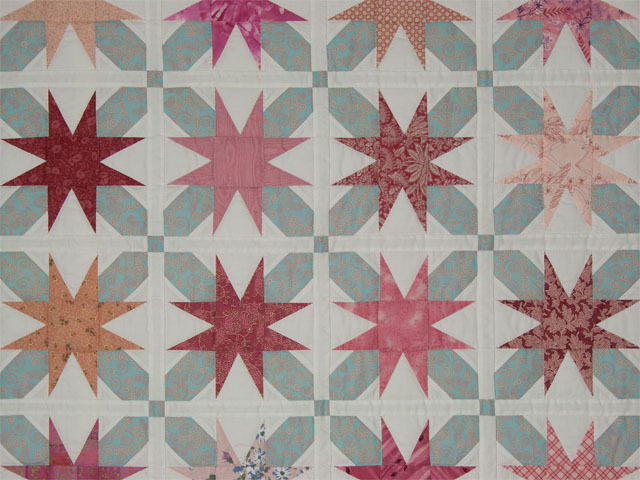 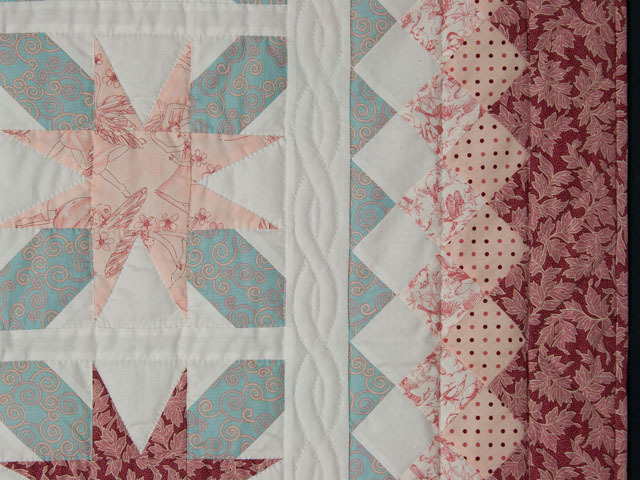 A beautiful pieced border encases all those 8 pointed perfectly sewn rose stars, each uniquely different - no two are alike. 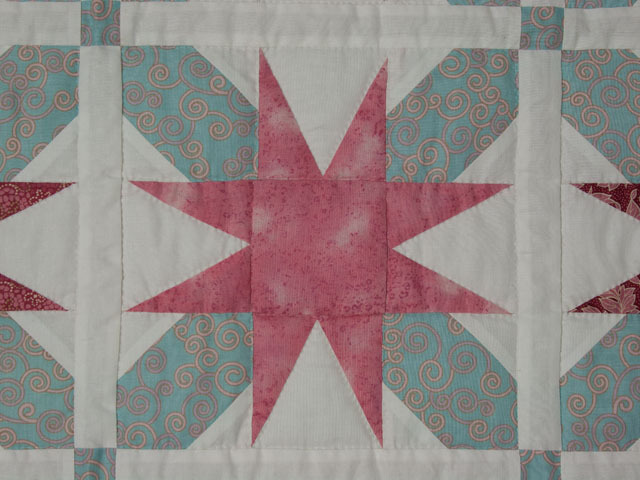 100% cotton fabrics on the top and also the backing. 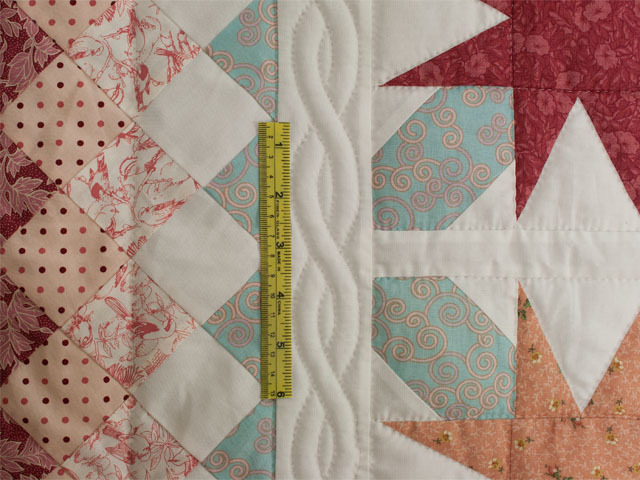 The backing is a cream and rose stripe as shown on one of the thumb nail photos. 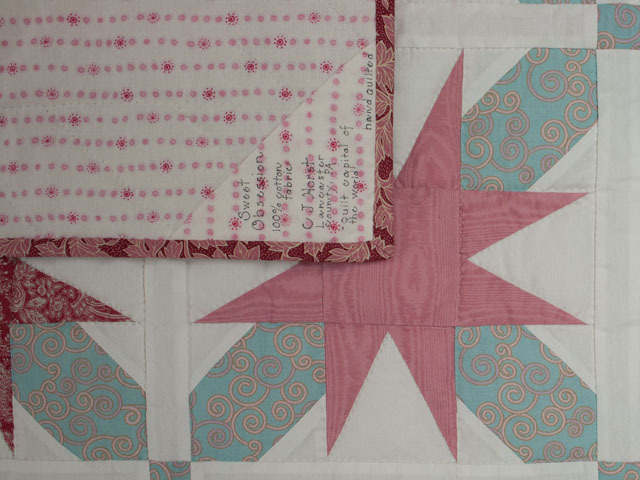 Signed and dated. A beautiful quilt.